Today I'm showcasing some of my posts from last month. I've seen this done on other blogs, where they do a recap on what they've been up to in the last month. I've always thought that it was neat to be able to go to the posts that you want to ALL from one post. My plan is to continue with the Delightful Review each month. Simply click on the photo or the link under the photo to be directed to the post. It was the perfect time to introduce this new setup that I was loving as everyone was back to school and kids schedules and school papers were starting to pile up. I added the 16 x 20 print to my shop and since then I have been one busy mama shipping these babies out. A BIG huge thank you to all my wonderful buyers! Everyone of my customers have been amazing to work with. Blessed, I AM! Next, I showed you how to make these backpack wall hooks. They would be so great for anything, not just backpacks. Try them for lunch boxes, coats, purses, scarfs, etc. I also introduced the everyday message center print to my shop. I am a firm believer in these. If you need to see what's going on in your schedule, this works. PLUS, I like to believe that they make for Delightful ORDER :) I'm working on some more pieces that will soon be added to my shop, so be sure and check back often. Each week, we had the Delightfully Inspiring Thursday Party during the month too. Oh, how I LOVE the party! Complete inspiration. You ALL are amazing! Thanks for linking your great posts each week. The party keeps growing and I want it to continue to do so. So join in on the fun, follow the rules and share the party with your friends. Since there is just WAY too many great link ups each week, I decided to begin a new series here on Delightful Order. So I introduced the NEW Featuring You: Top Ten from each week. This is where I list the ten most viewed links from the previous Delightfully Inspiring Thursday Party. 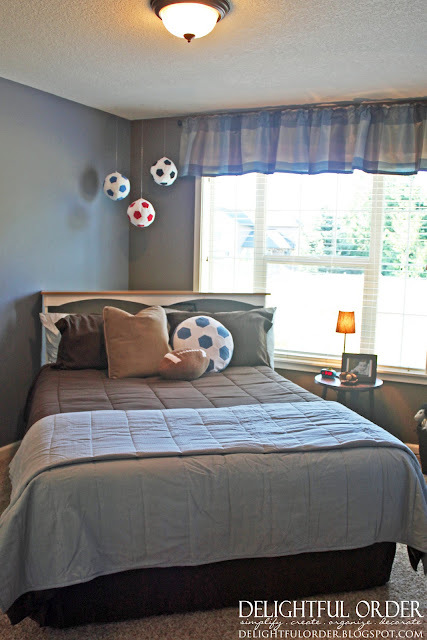 I also featured an organized closet for two from a great reader: Oksana with Order Matters. Last month we also had a Mary Kay giveaway and my blog got a little face-lift too. I still plan to make a few more changes to the blog, in hopes to make it easier to get around. I have some exciting giveaways coming up, so be sure and follow my blog if you don't already. You can follow with google friend connect on my sidebar. You can subscribe by email to get my posts delivered straight to your inbox or become a facebook fan or a twitter follower. I'm also excited to announce that NOW it's easier to connect with Delightful Order! Because now I have a website! 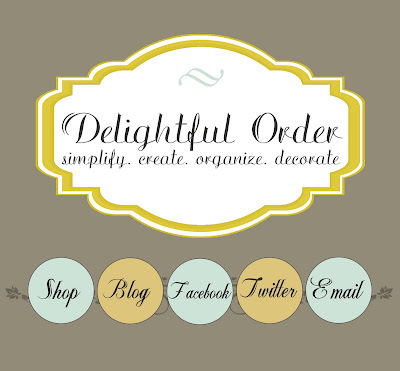 Simply type www.delightfulorder.com into your search bar and you will go to a page that looks like the photo above. Simply click on the little circles and they will bring you to my shop, this blog, my facebook page, my twitter page or you can email me straight from there. That, my friends, wraps up the September, 2011 review here on Delightful Order. The website looks so pretty! Nice job!